The prospect of a key strike against al-Qaeda overrode suspicions about the informer. AMMAN, Jordan - He was an ambitious young doctor from a large family who had a foreign wife and two children -- details that officers of Jordan's intelligence service viewed as exploitable vulnerabilities, not biography. Early last year, the General Intelligence Department picked up Humam Khalil Abu-Mulal al-Balawi after his pseudonymous postings on extremist Web sites had become increasingly strident. During three days of questioning, GID officers threatened to have Balawi jailed and end his medical career, and they hinted they could cause problems for his family, according to a former U.S. official and a Jordanian official, both of whom have knowledge of Balawi's detention. Balawi was told that if he traveled to Pakistan and infiltrated radical groups there, his slate would be wiped clean and his family left alone, said the former U.S. official, whose more detailed account of the GID's handling of Balawi was generally corroborated by the Jordanian official, as well as by two former Jordanian intelligence officers. Balawi agreed, and as the relationship developed, GID officers began to think that he was indeed willing to work against al-Qaeda. This belief was the first in a series of miscalculations that culminated Dec. 30 when Balawi stepped out of a car at a CIA facility in Afghanistan, near the border with Pakistan. CIA officers allowed Balawi, who was wearing a vest packed with explosives and metal, to enter the base without a search. Then he detonated his load, killing seven CIA officers and contractors, a Jordanian intelligence officer and a driver. Jordanian and U.S. officials have since concluded that Balawi was a committed extremist whose beliefs had deep intellectual and religious roots and who had never intended to cooperate with them. In hindsight, they said, the excitement generated by his ability to produce verifiable intelligence should have been tempered by the recognition that his penetration of al-Qaeda's top echelon was too rapid to be true. Senior CIA and GID officials were so beguiled by the prospect of a strike against al-Qaeda's inner sanctum that they discounted concerns raised by case officers in both services that Balawi might be a fraud, according to the former U.S. official and the Jordanian government official, who has an intelligence background. The Americans took over the management of Balawi from the Jordanians sometime in the second half of 2009, dictating how and when the informant would meet his handlers, according to current and former U.S. intelligence officers. Agency field officers faced unusual pressures from top CIA and administration officials in Washington keyed up by Balawi's promise to deliver al-Qaeda's deputy leader, Ayman al-Zawahiri, the current and former officers said. But a U.S. intelligence official, speaking on the customary condition of anonymity, rejected assertions that the CIA had abandoned caution. "No one -- not in Washington, not in the field -- let excitement or anticipation run the show," the official said. The GID's approach was more subtle than simple blackmail, the official added. "Persuasion works better than coercion, and that's something the Jordanians understand completely," the official said. "The caricatures of clumsy, heavy-handed approaches just don't fit." Balawi, 32, trained as a physician at Istanbul University in Turkey and worked at a clinic in a Palestinian refugee camp in Jordan. He was married to a Turkish journalist, who has written admiringly of al-Qaeda's leader in a book titled "Osama bin Laden: Che Guevara of the East." In the past four years, using the pseudonym Abu Dujana al-Khorasani, Balawi wrote on extremist Web sites and gained renown. He trumpeted calls for martyrdom. "My words will drink of my blood," he wrote, one of a number of statements suggesting an ambition to move beyond rhetoric. "If you read his articles, you understand he is a Salafi jihadi since birth," said Hasan Hanieh, an author and former Islamic radical, referring to a purist strain of Islam known as Salafism. "They go to the core of his beliefs. Over years, I could see this type of person moderate, but such a person does not become an agent. Never." The Jordanian official with an intelligence background, who has studied Balawi's writings since the attack, reached the same conclusion. "If you read him in Arabic, there is a texture and a spirit that says he is a true believer," the official said. "I would have tested this man 20 times to believe him once." After his arrest and interrogation last January, family members said, Balawi appeared sullen and preoccupied. He stopped using the computer -- to which he had seemed so tied. "He came out a changed person," his father said in an interview. "They should have left him alone. They should not have played with his mind." He said his son would never have moved beyond rhetoric had he not been forced to leave Jordan. Balawi left Jordan soon after his release, telling his family that he wanted to pursue further medical studies in Pakistan. He began to produce credible and compelling information about extremists, and the GID turned over the operation's management and the resulting intelligence to the CIA while allowing its officer, Capt. Sharif Ali bin Zeid, to remain as a conduit to Balawi, officials said. As the information continued to flow, the agency was able to exploit it for operations in Pakistan, officials said. Belief in Balawi grew. "First, the guy had extremist credentials, including proven access to senior figures," the U.S. intelligence official said. "Second, you had a sound liaison service that believed they'd turned him and that had been working with him since. And third, the asset supplied intelligence that was independently verified. You don't ignore those kinds of things, but you don't trust the guy, either." In September, six months after Balawi's arrival in Pakistan, U.S. and international intelligence officials described what they said was their growing success in penetrating al-Qaeda's senior ranks, which allowed improved targeting of insurgent locations in Pakistan. "Human sources have begun to produce results," said Richard Barrett, head of the United Nations' al-Qaeda and Taliban monitoring group and the former chief of Britain's overseas counterterrorism operations. At the time, a senior Obama administration official with firsthand knowledge of the U.S. operations attributed the killings of more than a dozen senior al-Qaeda officials to the CIA's increasing ability "to locate and identify individuals." Asked last week whether his reference to greater intelligence penetration included reports from Balawi, the official said he was "not referring to any one individual," but he declined to clarify whether he knew about Balawi's reports. "Maybe. Maybe not," he said. Balawi appears to have been what in espionage terms is called a "dangle" held out by al-Qaeda. "This is a very well-thought-out al-Qaeda operation," said a former senior U.S. intelligence officer. "Every dangle operation is a judgment call. It has to be significant enough so that the Jordanians and, in this case, the CIA knows it's real. . . . That's always the key in running a dangle operation: How much do you give to establish bona fides without giving up the family jewels?" Indeed, tactical successes made possible by Balawi's information appear in retrospect to have been sacrifices by al-Qaeda to get closer to its ultimate target: the CIA. 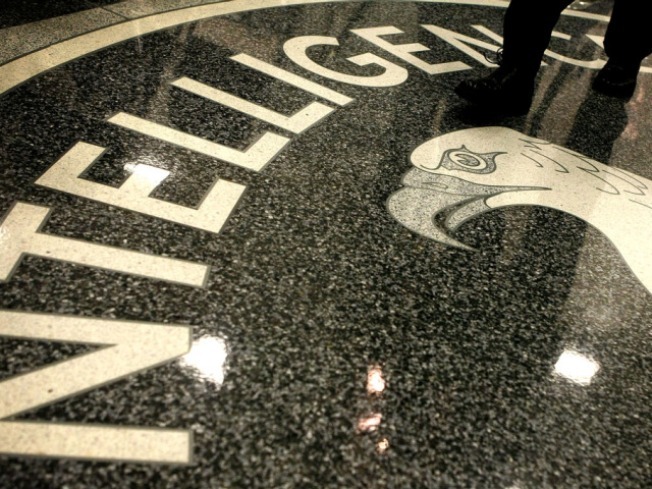 "They would give up a lot to get at the CIA," said a former Jordanian intelligence officer. After the attack, the Pakistani Taliban released a video of Balawi accompanied by its leader, but officials suspect al-Qaeda directed the bombing. Both American and Jordanian case officers raised questions last year about the speed with which Balawi appeared to have inserted himself into a position where he could obtain such intelligence, according to the former U.S. official familiar with Balawi's detention. Al-Qaeda is deeply suspicious of new volunteers, and especially so of Jordanians because of repeated attempts by GID to penetrate the organization, according to former Jordanian intelligence officials. There are no Jordanians in bin Laden's inner circle, and some who have risen to prominence, such as Abu Musab al-Zarqawi, the slain leader of al-Qaeda in Iraq, were given assignments far from the leadership. Al-Qaeda security and intelligence officers rigorously vet new arrivals and subject them to a host of tests before they reach "even the third circle around the leadership," as a former Jordanian intelligence official put it. "Their first instinct is to suspect," this former official said. "They check and double-check his background. They watch him eat and sleep and pray, for signs. They analyze everything. That's how they have survived since 9/11. And after all that, if they believe him, he won't get near the inner circle." Balawi, however, appeared to have done just that, offering information on Zawahiri. The Jordanian provided "irrefutable proof," including "photograph-type evidence," that he had been in the presence of al-Qaeda's leaders, according to a senior intelligence official. Some Jordanian and U.S. officials now question whether such an encounter ever occurred. But they say that if it did, it was an elaborate piece of staging by Balawi's true handler. "It was briefed to the White House and to Centcom," a U.S. official said, referring to U.S. Central Command. "This was a high profile. The Bush and Obama White Houses had vowed to kill him [bin Laden]. What a political victory it would be." The U.S. intelligence official said the case was handled methodically: "This case didn't grow up overnight. None of them do. It developed step by step. And, at some point, especially if you're going to send somebody against one of the toughest targets in the world, you have to meet them face to face." After several years of internal purges in which senior officers were pushed out, the GID had lost some of its "wisdom and caution," according to a Jordanian government official. A new leadership, installed slightly more than a year ago, relished the prospect of participating in such an extraordinary coup. "There was desperation to get the fruit," the official said. A former senior Jordanian intelligence official said he rues any possibility of mistrust between the two intelligence agencies in the wake of the Afghanistan bombing, asserting that the CIA-GID partnership has "saved hundreds of lives, including American lives" over the years. "This relationship is in the interests of the United States," he said. Warrick reported from Washington. Staff writers Karen DeYoung and Ellen Nakashima in Washington and special correspondent Ranya Kadri in Amman contributed to this report.